By Susan M. Mucha, MD, Michelle Udeshi, MD, and Shashi Chaddha, MD, Department of Radiology, St. Vincent’s Medical Center, Bridgeport, CT.
A 17-year old Hispanic boy presented with a history of “not walking well” and an inability to run since age 4. He sought medical attention following a recent progression to walking only with the assistance of others. The patient described considerable numbness and weakness in his entire left leg without pain and denied these symptoms in his right leg or his back. He denied any relevant medical history, medications, allergies, or family history of similar symptoms or thyroid or pituitary conditions. The patient measured 5 feet 5 inches tall and weighed 150 pounds (body mass index = 25). Magnetic resonance imaging (MRI) of the thoracic spine was performed in the axial and sagittal planes using T1-weighted (T1W), T2weighted (T2W), and short tau inversion recovery sequences. MRI revealed a prominence of the epidural fat along the posterior aspect of the thecal sac from T5 through T10, greatest at the T8–T9 level, with a sagittal epidural fat thickness of approximately 8 mm at this level. There was also associated ventral displacement of the spinal cord (Figure 1). 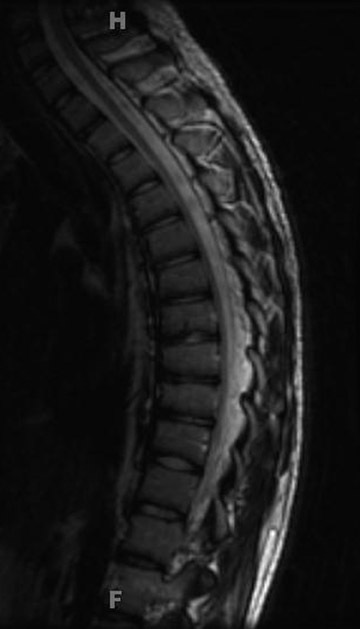 Axial T1W and T2W images also showed the prominence of the epidural fat with ventral displacement of the spinal cord and narrowing of the spinal canal at the T8 level (Figure 2). Clinical manifestations most commonly include back pain followed by lower extremity weakness, which is usually slowly progressive but may also include numbness and bladder or bowel dysfunction. Symptoms depend on region of canal compromise. The thoracic region is most commonly involved, which produces myelopathic effects, while lesions in the lumbar region tend to cause radiculopathic effects. On physical examination, lower extremity weakness is the most common ﬁnding, although decreased pinprick sensation and altered reﬂexes have also been found.6-8 Direct compression of the spinal cord and its resulting symptoms require further investigation into differential diagnoses, aside from the imaging modalities that can point to SEL. There are no other structural lesions that could help explain the symptoms and imaging ﬁndings. For cases unresolved by the above treatments or cases with severe cord compression and neurological deﬁcits, decompressive laminectomy with excision of epidural fat is recommended. In addition, in patients with compression fracture secondary to steroid-induced osteoporosis, fusion surgery may be necessary to improve spinal stability.5 For patients with SEL who do not respond to conservative methods of treatment, this remains the optimal mode of management for relief of symptoms. Such surgery has an approximately 80% success rate6; however, it also has a 22% postoperative mortality, which is most likely due to the immunocompromised status induced by steroid 7,10 Postoperatively, repeat images and close follow-up are necessary. For a patient who presents with persistent back pain or leg weakness, pain, or paresthesias, SEL should be included in the list of differential diagnoses and investigated via MR imaging. Speciﬁc attention should be directed to the appearance of the epidural fat in order to make a prompt diagnosis, so that appropriate treatment may be initiated and complications of cord compression can be avoided. Lee M, Lekias J, Gubbay SS, Hurst PE. Spinal cord compression by extradural fat after renal transplantation. Med J Aust. 1975;1:201-203. Fassett DR, Schmidt MH. Spinal epidural lipomatosis: A review of its causes and recommendations for treatment. Neurosurg Focus. 2004; 16(4):E11. Fan CY, Wang ST, Liu CL, et al. Idiopathic spinal epidural lipomatosis. J Chin Med Assoc. 2004;67:258-261. Stern JD, Quint DJ, Sweasey TA, Hoff JT. 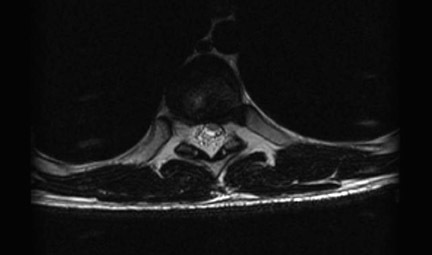 Spinal epidural lipomatosis: Two new idiopathic cases and a review of literature. J Spinal Disord. 1994;7:343-349. Chen CC, Lee WY, Cho DY. 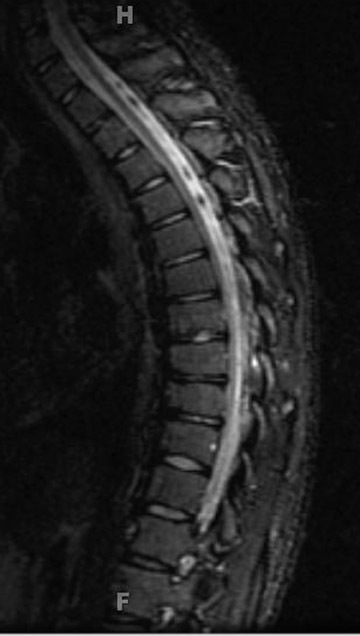 Spinal epidural lipomatosis. Zhonghua Yi Xue Za Zhi (Taipei).2002;65:86-89. Robertson SC, Traynelis VC, Follett KA, Menezes AH. Idiopathic spinal epidural lipomatosis. Neurosurgery. 1997;41:68-74; discussion 74-75. Fessler RG, Johnson DL, Brown FD, et al. Epidural lipomatosis in steroid-treated patients. Spine. 1992;17:183-188; comment in: Spine. 1992;17:1268. Roy-Camille R, Mazel C, Husson JL, Saillant G. Symptomatic spinal epidural lipomatosis induced by a long-term steroid treatment. Review of the literature and report of two additional cases. Spine. 1991;16:1365-1371. 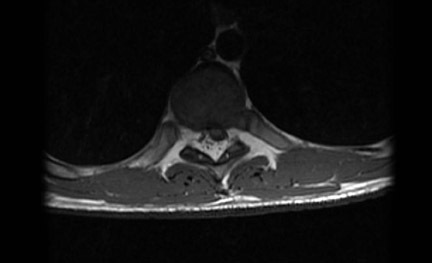 Randall BC, Muraki AS, Osborn RE, Brown F. Epidural lipomatosis with lumbar radiculopathy: CT appearance. J Comput Assist Tomogr. 1986; 10:1039-1041. Kumar K, Nath RK, Nair CP, Tchang SP. Symptomatic epidural lipomatosis secondary to obesity. Case report. J Neurosurg. 1996;85:348-350. Quint DJ, Boulos RS, Sanders WP, et al. Epidural lipomatosis. Radiology. 1988;169:485-490. Greiner FG, Takhtani D. Neuroradiology case of the day. Extradural lipomatosis. RadioGrapics. 1999;19:1397-1400. Lee RKT, Chau LF, Yu KS, Lai CW. Idiopathic spinal epidural lipomatosis. A case report. J HK Coll Radiol. 2002;5:105-108. 17-year-old male not walking well. Appl Radiol.